Cut flank steak with the grain in ¼” thick pieces. Add steak to a bowl and season with salt, chili pepa, garlic powder, liquid smoke and black pepper. Use your hands to mix well so all the pieces of beef are seasoned. Lay the beef on a dry box or dehydrator in one layer. 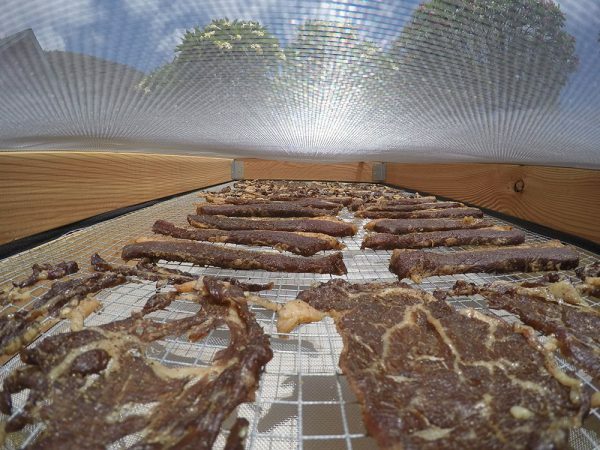 Allow beef to dry in sun for 6 hours to one day.